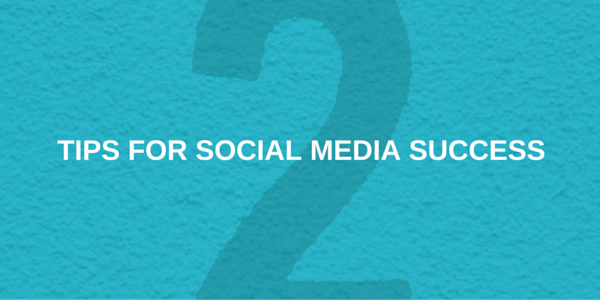 When it comes to social media, local business owners can quickly become overwhelmed. Should I be posting, tweeting, pinning, chatting or something else! Of all the social media sites that are currently popular, Twitter still has huge potential for success across the board for local businesses. Twitter lists are a great tool to help achieve that success. There are close to 1 billion registered Twitter profiles and around 320 million active users, with somewhere in the region of 12-15 million of them here in the UK. That’s a lot of profiles producing a huge volume of tweets every minute of every day. 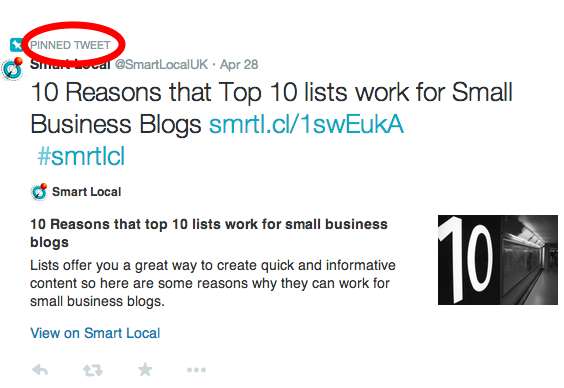 For a local business the simplest way to sort through the noise is by using Twitter lists. We’ll get to some specific local ideas in a minute, but let’s start with what Twitter lists are and how to create them. You don’t have to Follow a Twitter profile to put them in a list. It’s basically a way of grouping users that you find interesting together in one spot that’s then easy to sift through. Bit like opening up a newspaper (people still do that, right?) and heading to different sections for different content, depending on what your interests or needs are – local news, finance, sport, etc. Building the right lists can help you monitor and engage with your target audience. 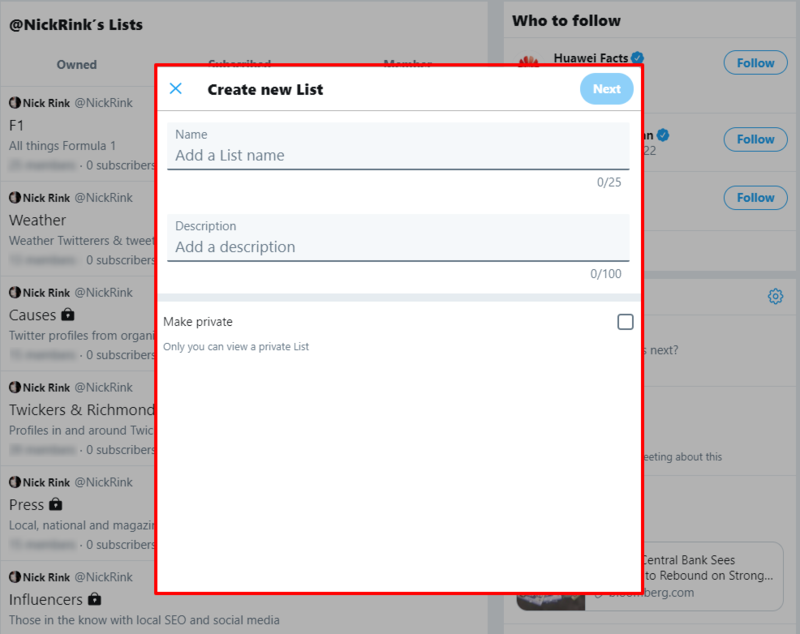 There are a couple of ways to create Twitter lists and add profiles to them, but here’s what we’ve found to be the simplest method. First, click on your profile avatar to get the dropdown menu and then click on Lists. That takes you to your profile Lists page where it shows any that you may have already created. To create a new list just click on the Create new list button at the bottom right of the page. A popup box will appear where you can enter the name of your list along with an appropriate description. Please do remember that for any public list the name and description will also be public, so think carefully! As noted in the screenshot below, anyone can see Public lists but only you (or anyone with access to your account) can see your Private lists. To add Twitter profiles to your list simply navigate to a relevant profile and click on the settings gear icon beneath the cover image. From that dropdown box you can add a profile to any of your Twitter lists. When you add someone to a Public Twitter list they’ll receive a notification, so it’s another good way of letting someone know that you appreciate their content. They won’t receive a notification if you add them to a Private list, which had its advantages as you’ll see below. 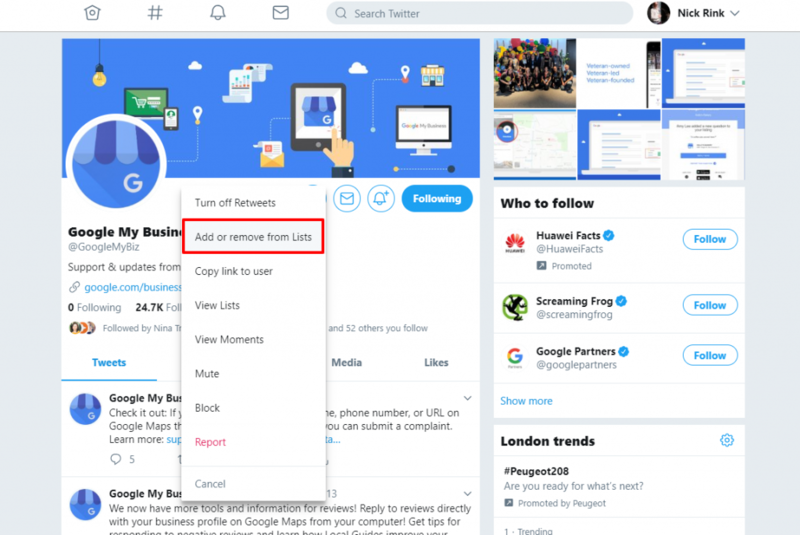 Now that you’ve read why Twitter lists are so useful and you know how to create them, let’s start looking at a few ideas of Twitter lists specifically for local businesses. Next to each list we’ve marked what type we believe it should be, i.e. a Public list or a Private one. Staying in touch with existing clients, along with friends of the business, partners and suppliers is important. The ability to offer support in the form of a retweet, especially if it’s a client tweeting about success, can help to amplify their good work and that should reflect well on you also. Nurture those relationships. Twitter also works well as a customer service platform. If a happy customer mentions you in a tweet then be sure to respond and add them to your list. There are multiple touch points when it comes to building sales from face to face meetings and phone calls through to email and social media. Twitter can be a great way of building relationships with prospective customers and show a more personal side of your business. It also gives you a direct way to answer any questions they may have or offer suggestions to them. Say you’re a local accountant and you see a tweet from a prospective client with concerns about auto-enrollment; there’s an opportunity to connect, help and gain a new customer. Building a competitor list gives you the ability to monitor what they’re up to and also how they use Twitter in general. It’s a great way to see what they’re tweeting about, how or if they engage with other users, if they have any offers on and staying up with their current activities. You may get additional ideas for your own business, especially if you see them having success in certain areas. Keeping the list private means that they won’t know you’re tracking them. Use the following search string on Google to look for existing Twitter lists for your town or city – site:twitter.com inurl:lists <your town/city> – then check any profiles that look both interesting and relevant to add to your own local list. Use this recipe on IFTTT to automatically build a list that contains a hashtag relevant to your location, for example #wigan. Check the list every few days to weed out any irrelevant or unwanted profiles and you’ll quickly start building a targeted list containing people who are interested in your local area. Finding people who can amplify your message will give you a massive win on Twitter. These folks don’t all have to have huge Followings either. Influencer marketing is not about getting a retweet from Twitterati such as Katy Perry or Justin Bieber! It’s about identifying who in your local area or your specific industry is influential. Who’s word in your local area carries weight? They could be local journalists, bloggers or other local area businesses. Find and connect with those accounts and you’ll be on your way to having a good deal of success on Twitter. Twitter lists help to cut through the noise so you can focus on building targeted and successful relationships that will help to grow your business. If you’re not already making use of them then hopefully this will have persuaded you to get started. Social media marketing sites have been around for quite some time now, with LinkedIn being launched back in May 2003. Things have developed rapidly since then, with sites like Facebook and Twitter becoming part of the culture while others maybe didn’t fare so well. Ping and MySpace spring to mind! As consumers and businesses have moved forward so have the social media sites and staying on top of all the changes can be difficult. Features get added, removed and sometimes just hidden. For example, did you know that you can tag up to 10 people in a photo on Twitter and those tags don’t count against your 140 characters? 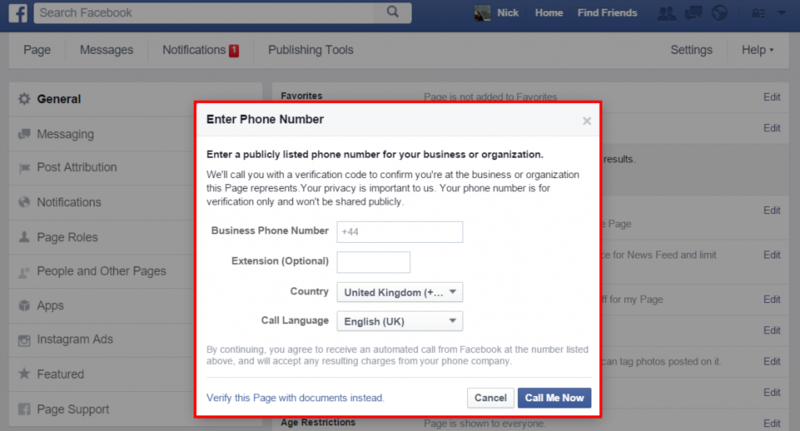 How about the ability to save posts on Facebook to read later or downloading a list of your connections from LinkedIn? If you can think of any more then please drop a comment down below. 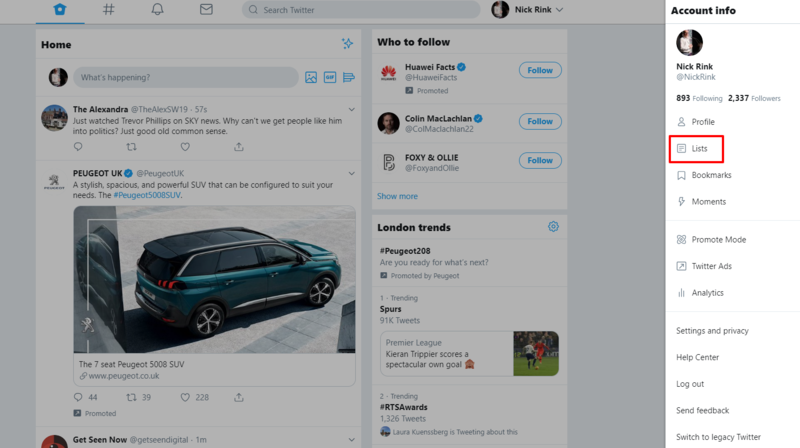 A couple of months ago Twitter gradually rolled out a new interface to its users in an attempt to make it more intuitive and increase user engagement. This article will look at the changes Twitter have made and how your business can benefit from it. Twitter have dramatically enlarged the cover photos so they now take up the entire width of the screen and not just a few inches. This may not strike you as a core change, but increasing the cover photo for profiles, means you instantly have more visual engagement. One of the key factors of any marketing campaign is visibility, and in this case it is quite literal. This now means you have a fantastic way of getting your logo and name out there. Be sure to have a quality and professional badge or image you can upload and always ensure it’s 100% relevant to your brand. If it’s not, people wont understand the reason it’s there and will not take you as seriously. This will be the first thing people see, be sure to harness the power of visual marketing by uploading your brand image. 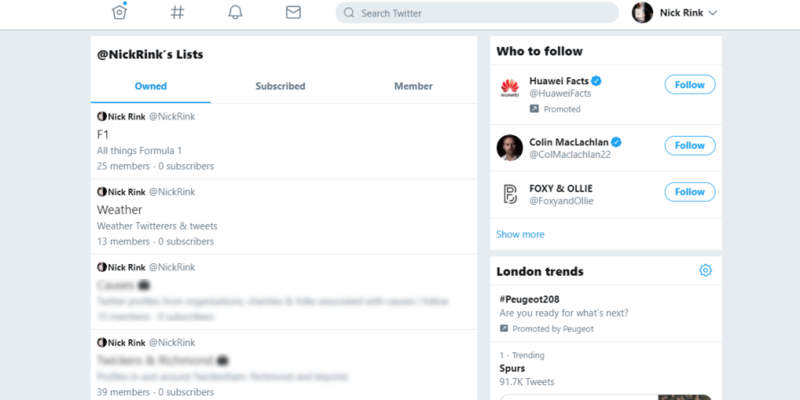 New Twitter now has tab options for features such as Tweets, photos and videos, favourite tweets, who you are following, who follows you and lists. 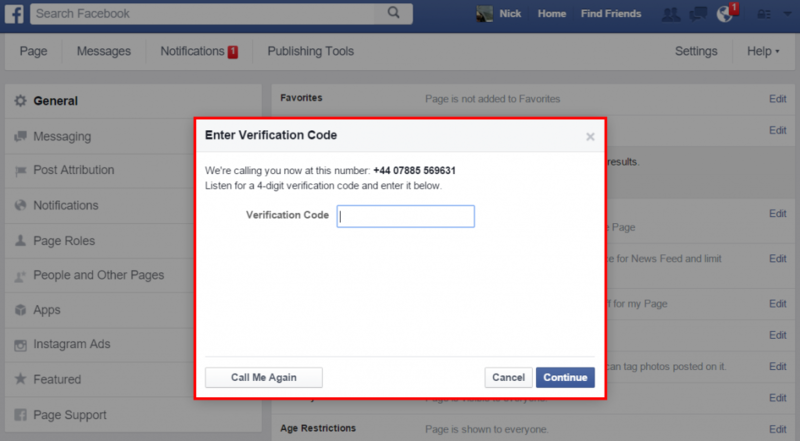 Before, you were left to navigate a profile with some of these features more difficult to find. For example, the option to see photos was not established as it is now, rather all images and videos clumped together in box to the side. It is now easier than ever to locate the features you want on Twitter profiles. It saves you time, it’s uncluttered and intuitive. Not only does it allow you to streamline your social media use, but also means anyone looking at your profile will find exactly what they need. Be sure to only tweet relevant content, as this will be seen instantly and impact on impressions. The same applies when uploading images and photos, make them relevant, though remember an odd image of your team having lunch or at events can help break the fourth wall. With lists, make sure that you only create ones that you want people to see. They are a great way of networking and increasing your feed, but only when used correctly. If people see you creating lists that are irrelevant, they may question your integrity. You can now easily see which tweets you have favourited. Be sure to favourite only good content that you are happy for others to see you support or enjoy. This is a great way of promoting content, if you thought it good enough to favourite, others will pay attention which is why it’s important to select good content to share here. New Twitter now allows each user to “pin” tweets to the top of their profile so they are highlighted and emphasised. This is a fantastic way of getting content seen on your profile. By “pinning” the most important tweets to the top of your page they remain dominant and thus receive increased views. 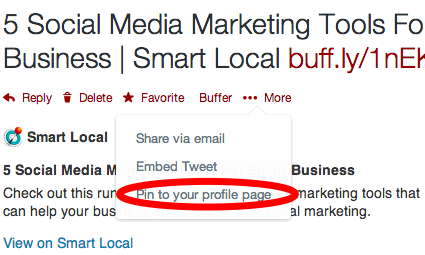 Be sure to pin tweets with links you want your users to see. Maybe it’s news about your business, investment, a webinar you’re hosting, a sale. Anything that your customers need to know about should be pinned to ensure it gets maximum coverage. NB: you can pin tweets once they are live by clicking on the “…” option at the bottom of the tweet and then “Pin Tweet”.